Murchison House is located in the north-east corner of Edinburgh University’s Kings Buildings Campus; the principal science and engineering campuses within the University’s Edinburgh estate. Completed in 1977 and occupied by The Institute for Geological Sciences and latterly the British Geological Survey (BGS) up until late 2015, this large brick faced structure was designed to house the wide variety of accommodation that the Institute needed - storage silos for rock and fossil samples from survey work, laboratories, administrative offices and a library. The cruciform plan was utilised as a means to link these assorted uses and to break up the outline of what is quite a large building. A planning requirement at the time necessitated that the building was set below West Mains Road to minimise intrusion on the neighbouring golf course and Blackford Hill, resulting in the main entrance being set below the adjacent street level, concealed under an overhanging library space above. The building is a reinforced concrete frame construction over five storeys with an irregular ‘H’ plan form. There are many recesses and stepping in of storeys around building elevations. It was B listed in April 2016. 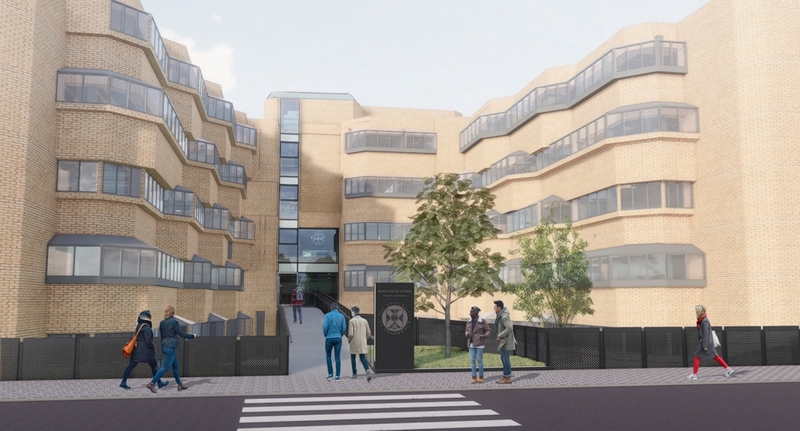 The co-location of Edinburgh Innovations, the University’s innovation management service [www.edinburgh-innovations.ed.ac.uk] and the Edinburgh Technology Transfer Centre [www.ettc.co.uk], to grow business start-ups, incubation and industry collaboration. The creation of a learning and teaching hub combining teaching, study, social activity and Student Services, providing significant new facilities to improve the student experience. 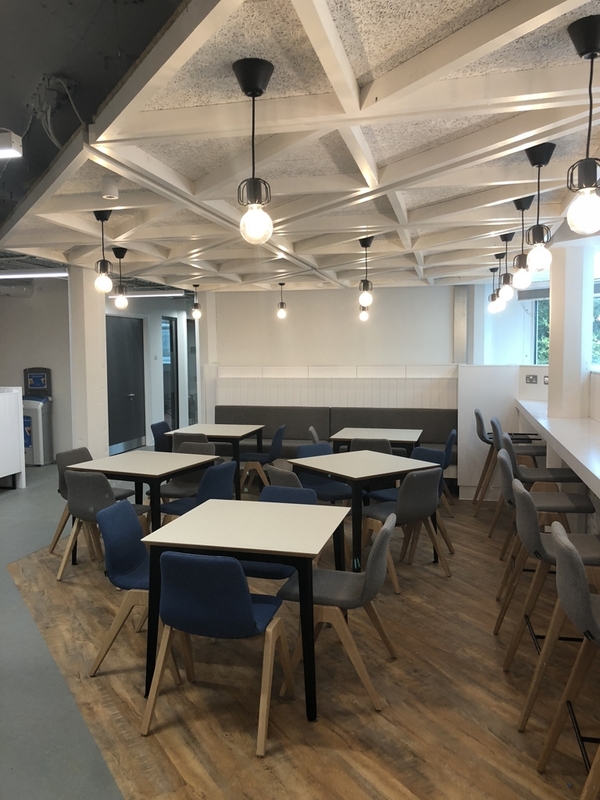 Decant space for staff from other buildings on the Kings Building Campus in the short term. Communal facilities include a new cafe and also an exhibition space to showcase the products and services of the occupancy of the ‘incubator space’ The redevelopment also includes provision of better pedestrian access and orientation of the building towards the main campus, with a new entrance and enhancement of public realm spaces adjacent to the building. 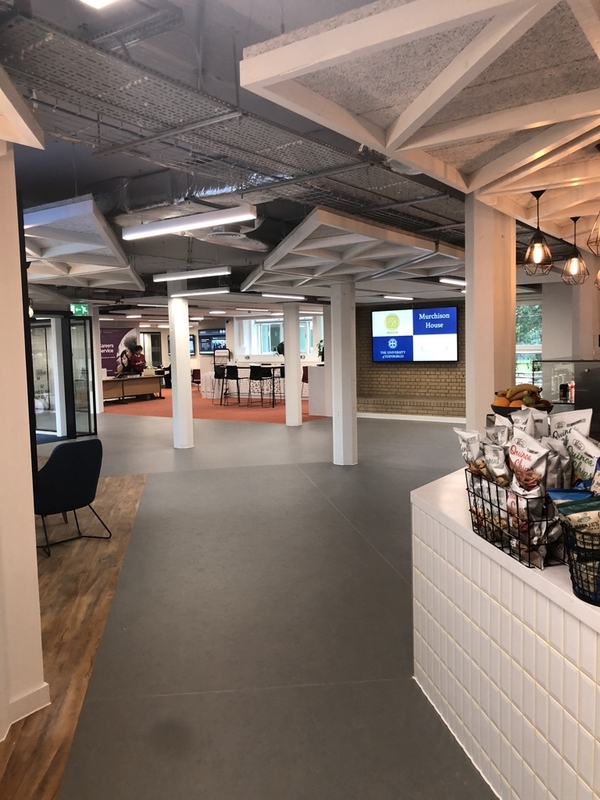 Creating spaces for open plan and collaborative working - a large number of internal non load-bearing partitions have been removed to create large, open plan office spaces with limited smaller individual offices, befitting a contemporary workplace. Removal of suspended ceilings to Increase floor to ceiling heights and improve spatial quality. Characterising spaces and increasing legibility – using colour and natural daylight as way finding tools and markers to break the complex plan down into manageable zones. 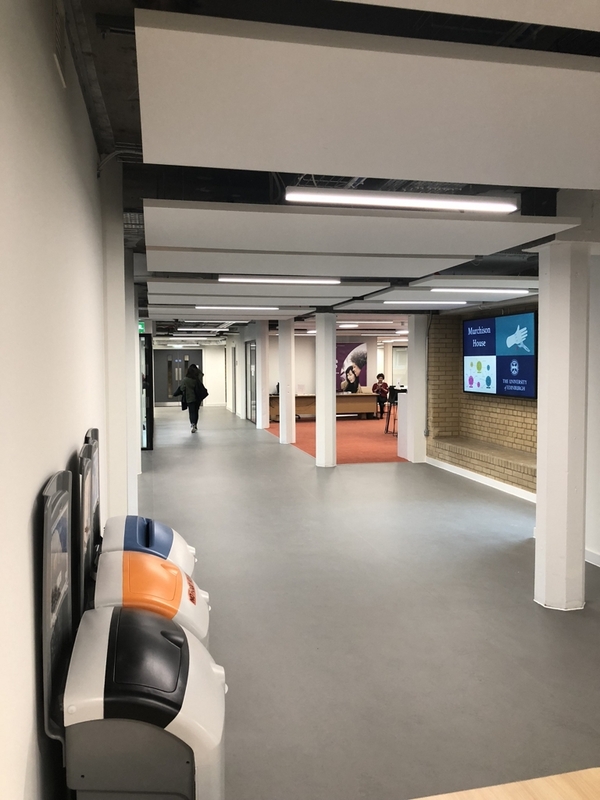 Activating corridors - the existing north / south spines are wide spaces which have been brought to life by introducing shared meeting spaces and breakout facilities. Connection to campus wide CHP system renewal of the majority of central plant and M&E services to improve efficiency. Reduction in lighting energy through installation of efficient luminaires and lighting control. 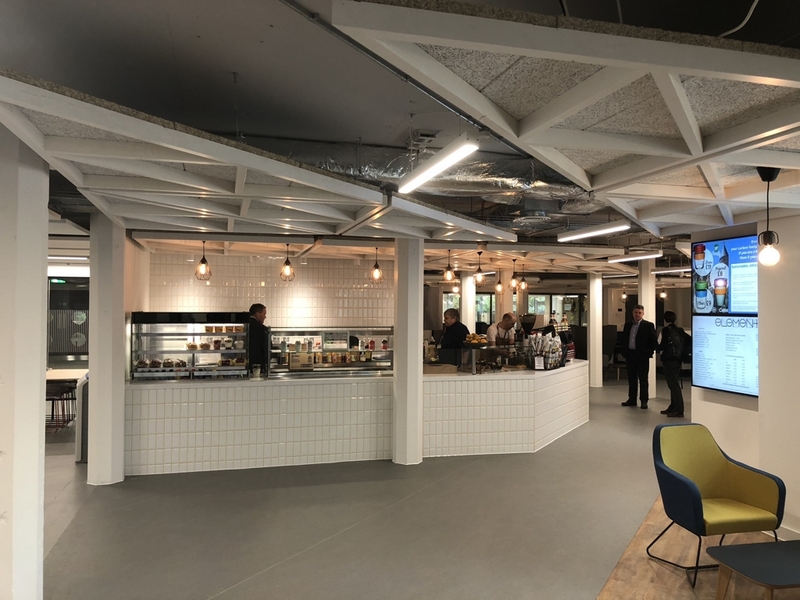 The building, due for completion in Sept/Oct 2018, provides over 10,000 sq m of refurbished accommodation at a cost of approximately £780 per sq m.